To knead or not to need? Need this??? Yudhika’s delicous Naan Bread! Knead reminds me of ‘need’ and being caught in the negative ‘need’ cycle. Wherever we are in life, no matter what we accomplish, we are bombarded by society that ‘needs this’ or ‘needs that’. We are also bombarded by clever marketing convincing us that our wants are needs, and this creates much confusion. Telling the two apart is sometimes impossible. I can’t speak for others but I have always needed to prove that I could and would rise above adversity. In my mind I made up a black list, remembering every nasty comment and dig…thinking, ‘ONE DAY, ONE DAY…! As the years passed, the list grew longer…and I know that this is an unique situation. Most of us have been in this place at some point in our lives. And my ‘ONE DAY’ has come and gone several times…but there is always a new villain on the list or am I that villain that keeps pushing myself harder? The negative side was the need to prove myself led to me being a workaholic and becoming a bit of a magpie, collecting trinkets and material possessions along my journey. The positive side, I turned my frustration into something constructive, working toward a career that has given me enormous joy and fulfillment. I had the fancy homes and the bad marriages that came with it, unbreakable credit cards, a wardrobe to die for and the shoes….let’s not go there! I have worked through a particularly difficult phase in my life, thinking I was going mad at times, doubting my own intuition and recovering from years of feeling like I still needed to try harder to prove myself. Sometimes it was about feeding my ego. I couldn’t let the past go or the constant nagging that came from a partner who clearly had his own axe to grind…for my own selfish reasons but also because I was put under pressure by being told that I wasn’t good enough…make more money, be thinner, eat less, try harder, be more funny, perform and complaints that I wasn’t subservient like Indian women were supposed to be. When did I stop being a woman and at what point did I become the circus horse?? Stupidly believing that I was being ‘encouraged’ for my ‘own good’ only to realize that the more I performed, I become easier to validate as my partner’s choice. Who knows what his issues were? But he pushed me hard into being a trophy to save himself from looking the fool. The worst is that this sort of treatment comes from the people closest to us which makes it even harder to deal with and it leads to un-natural desires and needs, creating stress and frustration. This is not a whine session, but thoughts shared which create awareness and different thought processes. I was a victim once, but that was a long time ago…I am not feeling sorry for myself, or an emotional refugee either…I am a just a person who was lucky enough to work it out. I have reached a beautiful place in my life and here are my thoughts…after having experienced soul-destroying unhappiness, nothing material can ever be more valuable than feeling a true sense of joy. I have reached a beautiful place that is free from want….I am free from chasing unrealistic goals, pressure and ego. Materially, I want for nothing…not the latest car upgrade or fancy house, shopping sprees and five-star meals! This doesn’t mean that I have lost my drive and positivity…I love my work, family and have a life that is brimming with the most amazing opportunities. I have everything that is important and the rest will sort itself out. I have probably never felt better, more relaxed or happier. I confused my needs with my wants, venturing down a damaging path to prove to others that I was worthy and capable. I had proven myself worthy repeatedly without realizing it. Take a look at life and ask yourself who you are doing it for…do it for the right reasons. Work hard, play hard, feast and be merry…live, love and rejoice! The lesson is to learn to draw a line between when adversity becomes a positive driver and when it becomes an obsession. To the people who have been nasty, I can’t thank you enough for the role you played in me being who I am today. What was said and done to break my spirit became that which makes me unbreakable. The process did not come without hitches. I worked through them, and have come through it bigger (and curvier), better and stronger. I am thankful for the adversity that has built character and resilience, and it plays a lead role in my script. 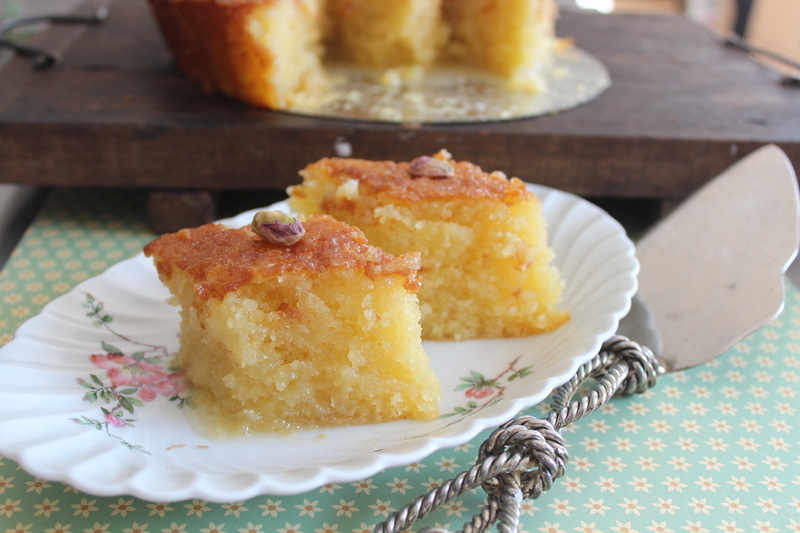 Going nuts….Coconut Tart meets Malva Pudding! I have been going nuts over Malva pudding…it’s never happened to me before but lately it’s been malva this and malva that! And lashings of home-made, old-fashioned creme anglaise too! It is too hard to resist and one of the few things to look forward to when the Jozi chill sets in. I hosted a dinner party a few weeks ago and then made a classic Malva pudding, a few days later on the Italian inspired episode of Sugar ‘n Spice, I threw in a few generous glugs of Frangelico while making a chocolate version. Sugar ‘n Spice goes live on The Home Channel in just a few days….We kick off on Monday at 2pm on DSTv’s Channel 176…so set the PVR and be sure to catch the first episode! I was working on Ramadan sweet treats and in a complete moment of madness it was a ‘coconutty’ Malva sauce over a classic Greek tart! It is just pure decadence and dead easy to make. It can be served warm, room temperature or zapped in the microwave for a few seconds. It may be served with ice cream or custard but I had two diamonds and retreated to bed for the rest of the arvie, declaring I was in a food coma! It wasn’t just the tart, you see…it was also the other tastings that were going on this past Sunday…Persian Style Koresht with Chicken, Saffron Kebabs and and and….you can find these recipes in the Post Newspaper which is out today! This recipe will have coconut lovers in heaven…the coconut milk in the malva sauce leaves the tart super moist and utterly decadent! I kept the batter quite simple, opting let the tart ooze with coconutty aromas but you can spice it up with lemon zest, cinnamon or ground cardamom. I used Mae Ploy Coconut milk for this recipe but you may also use a good substitute like Spar Branded Coconut Cream…it has a yellow label and costs around R24. If you love the recipes, please leave a comment and do click ‘follow’ to ensure the latest recipes are sent through to you via email…it’s lovely to hear from you, your food stories and hints and tips…it also keeps me in the writing in the right direction! 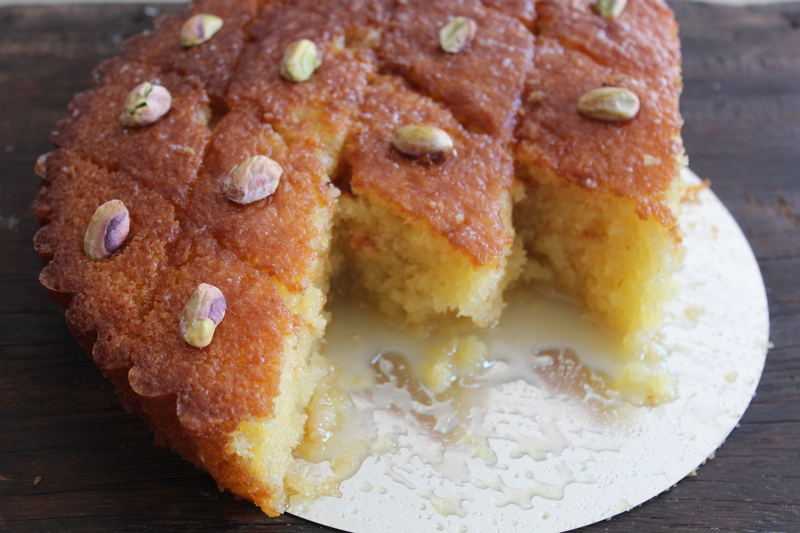 A few slices of coconut malva tart down…a few more to go! Optional flavours: Lemon zest, 5ml cinnamon or 5ml ground cardamom can be added to the batter. Pre-heat the oven to 170 degrees Celsius. Grease and line a 10 inch loose bottom pie tin with butter. Using a hand held electric or free standing mixer, cream the butter until light and gradually add in the sugar. Add the vanilla essence and continue beating until the creamed mixture is fluffy. Scrape down the sides of the mixing bowl regularly. When the sugar granules should dissolve slightly, add the eggs one at a time with a teaspoon of cake flour. Beat well after each egg. Sift the flour and baking powder and stir in the coconut. Add the dry ingredients and milk to the creamed butter, alternating to prevent the mixture from becoming to thick. Scoop the batter into a prepared tin and bake for 55 – 60 minutes. The tart should be deep golden in colour and a skewer should come out clean when tested. Leave the tart in the tin to cool slightly and slice into diamonds. Prepare the sauce: Dissolve the water and sugar in an AMC pan. Add the coconut milk, vanilla essence and butter. Bring to the boil until a thin syrup forms and lightly coats the back of a spoon. Pour the hot sauce over the warm tart while it is still in the tin. Leave to soak and place a pistachio in the centre of each diamond. 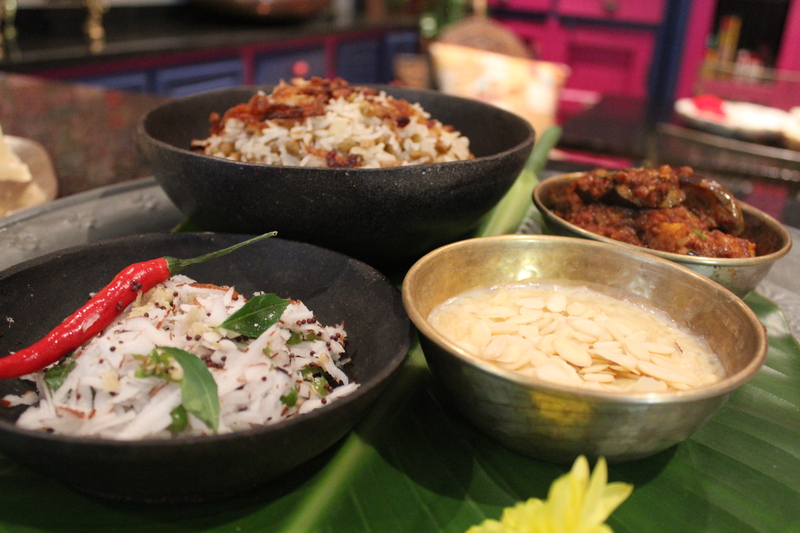 Five tips to perfect pilau…Spicy Brinjal Pilau! The first pilau I made was from a recipe that I took out of the Indian Delights. I thought I would surprise my mom but it turned into a rather bad surprise…it wasn’t a recipe, it was my cooking skills! I was in high school at the time and without much patience! I cooked the pilau on a high heat and burnt it, the rice turned to mush and it was a complete mess! I am thankful to my creator for blessing me with determination….but still not sure whether it was determination or my ego that kept me cooking after the weeks of being teased about my kitchen disaster! A good pilau is the perfect dish that turns meals into feasts. This is recipe that is perfect for Ramadan or it could make an appearance at your table served with roast chicken or lamb, curries and stews! For the vegetarians out there, it is a meal on it’s own, served with a salad and a creamy dollop of raita! Firstly, use a good quality rice. The broken grains in the cheaper brands cause the rice to cook unevenly and turn to mush. Secondly, always cook the rice in advance and leave it to cool before adding it to the pilau. Rice that has chilled in the refrigerator works best and your pilau will be flop proof with fluffy steamed grains. Third tip….slow and steady wins the race….pilau should be steamed gently to prevent it from sticking and burning. Fourth tip….use a good quality pot with a thick base to prevent the pilau from steaming unevenly. I use AMC cookware without a hassle! Fifth tip…back to the rice rice rice….I personally stick to basmati rice…avoid Jasmine and white rice as they are quite sticky….you can use long grain rice if you prefer but basmati for me is best! Slice the brinjals into wedges and place them in a colander. Sprinkle fine salt over the brinjals and leave to sweat for 20 minutes. Use paper towel to dab the excess moisture off the brinjal wedges. Heat the sunflower oil and fry/grill the brinjals. Gently pat the excess oil of the brinjals and leave aside. Heat the sunflower oil in a thick bottomed pot. Fry the cinnamon stick and bay leaf until fragrant. Add the cumin seeds and when they begin to splutter add the chopped onion. Sprinkle the coarse salt over the onion and fry until they turn light golden brown. Add the crushed garlic and stir for a few seconds. Add the paprika and then stir in the chopped tomatoes. Simmer for a minute before adding the ground coriander and cumin. When the tomatoes soften completely, add the drained butter beans, chickpeas and lentils. Pour in the fresh cream and layer the cooked basmati rice over. Pour the boiling water over the rice and then reduce the temperature. Simmer the pilau on the lowest heat setting until the rice has steamed through. Place the brinjal wedges over the rice. Garnish with chilli flakes and fresh coriander. Fry the brinjals while the pilau is steaming though so that the wedges are hot when serving. Par-cooked potatoes can be added to this recipe. Time does fly and it’s already Ramadan. Most of my Muslim friends and colleagues will be fasting without food or water from dawn to dusk. I have always been completely amazed by the fast and how no matter where you were or who you were with, my Muslim friends stick to it! I envy this dedication and commitment. The month of fasting is not a hunger strike but a month of prayer and reflection. It’s a time that Muslims come together and re-connect over spirituality and end the day with a home cooked feast. I didn’t know much about Ramadan when I was a kid except knowing that my friends at school were not eating all day, but every year, I have learnt a little more about Islam while developing new recipes for Ramadan and Eid too! 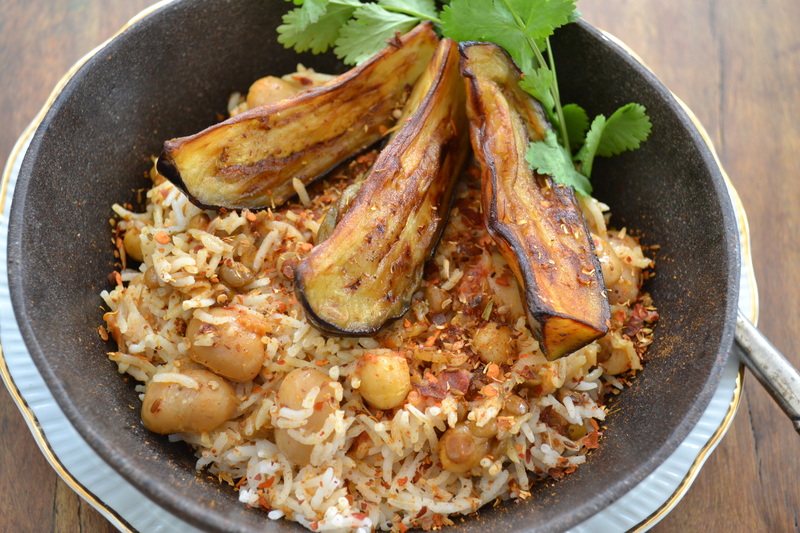 Here is one of those recipes perfect for the fasting month…I took some inspiration from Morocco for this one! This can be served as a soup or a stew. 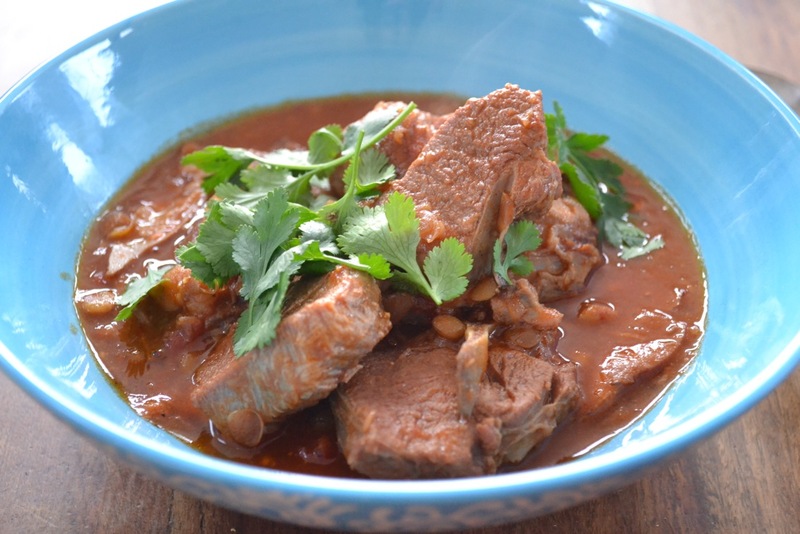 The temperature has plummeted and this hearty Moroccan Inspired Harira will definitely warm you up! To all my Muslim friends and followers, Ramadan Mubarak! Moroccan Lamb Harira Serves 4 Ingredients 700g lamb loin chops 50ml sunflower oil 1 bay leaf 1 stick cinnamon 5ml cumin seeds 2 onions, finely chopped 4 cloves garlic, crushed 10ml crushed ginger 10ml paprika or red chilli powder Pinch of tumeric 2 stock cubes 400g tinned tomatoes, chopped 400g tin lentils, drained 400g tin chickpeas, drained Salt to season, optional Fresh coriander, to garnish Here’s how: Heat the sunflower oil in a 30cm AMC pot. Fry the cinnamon stick and bay leaf. Add the cumin and fry until the seeds begin to sizzle. Add the chopped onion and saute until light golden brown. Add the lamb pieces and seal the meat while stirring. When the meat is sealed, add the garlic and ginger. Stir for a few seconds and then add the paprika or red chilli powder. When the spices start to stick, pour in boiling water to cover the lamb. Add the stock cubes and turmeric. Simmer until the meat is tender. Stir the tomatoes into the lamb and cook until they soften. Add the lentils and chickpeas. Simmer until the sauce thickens slightly. Check the seasoning and add more salt only if necessary. Garnish with fresh coriander. Yudhika’s Tips: Butter beans can also be added to this dish. Stock cubes contain salt so always check the seasoning before adding more. No matter how much time you spend in a kitchen, there are always some things that are not your forte. For me eggless baking has never come easy…perhaps my attempts are sabotaged by some of my first attempts which were always disastrous. From cakes that looked like rubber to cupcakes that felt like tennis balls…my earlier attempts made me cringe with embarrassment. Thankfully, much to the encouragement and constant requests from my readers and Facebook family, I come up with a cracker every now and then…don’t get me wrong, there are more disasters than victories. 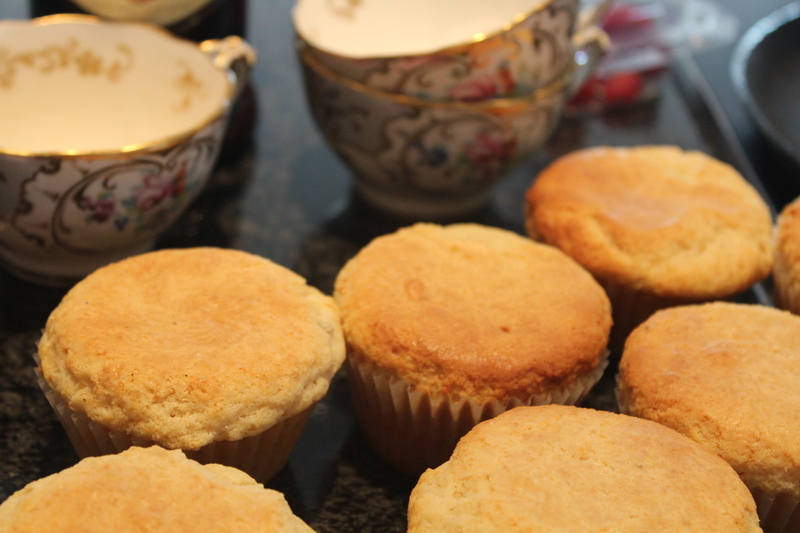 The baked burfee cupcakes…a little scone like on the surface! I develop recipes over the weekend and get my kids to take notes on my ramblings and document the recipe changes. I took a peek at these cupcakes while they were in the oven. They looked like scones and my heart sank momentarily. It’s a case of not judging a book by it’s cover…the scone like appearance masked the deliciously light, moist cakes. I topped them with a generous slathering of cream cheese frosting but you could use butter cream or whipped cream if you prefer. 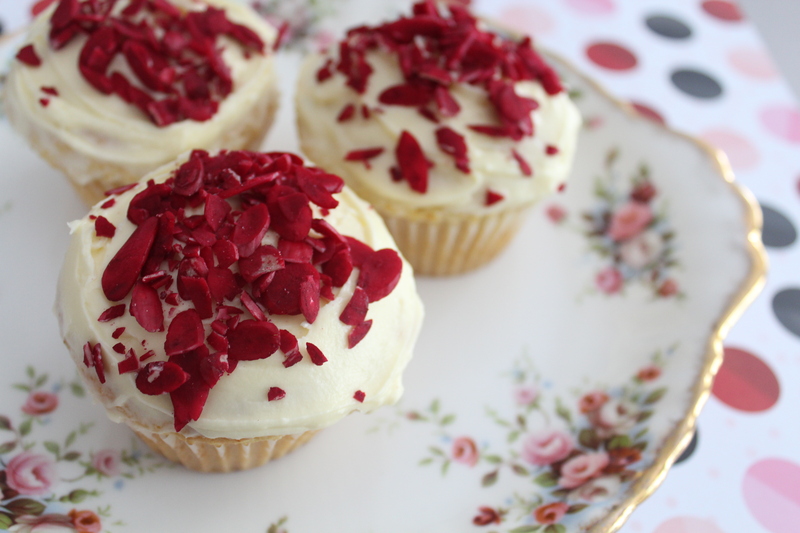 Eggless Burfee Cupcakes….deliciously light and moreish! In a free standing mixer or with a hand held beater, ream the butter until light in colour. Add the sugar gradually and continue creaming until fluffly. Gradually add the dessert cream. Combine the full cream milk and vanilla essence. Add half the sifted flour to the mixing bowl and beat until smooth. Add half the milk and mix well, followed by the remaining flour. Pour the remaining milk and beat until smooth. Divide the mixture into a cupcake pan, lined with paper cases. Bake for 22 – 25 minutes or until a skewer comes out clean when the cakes are tested. Remove the cakes from the tin immediately and leave to cool on a wire rack. Cream butter and gradually add the icing sugar until light in colour. Add the cream cheese and continue beating. Continue beating until smooth – do not over-beat as the frosting can split. Once the cupcakes have cooled, frost them using a spatula and decorate with tinted almonds. To all the chops I’ve loved before….spicy lamb chops! 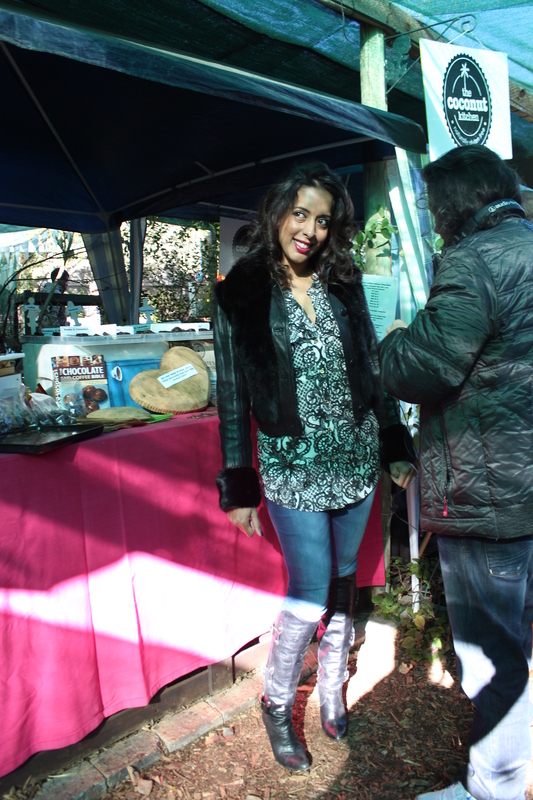 Yudhika on SABC 2’s Mela..for all the chops I have loved before! I have a strange sense of humour and drive my kids and my mom crazy with the songs I sing! One of my favourite singers was Julio Iglesias and his song, ‘To all the girls I’ve loved before’….what sounded romantic to me as a child, just sounds completely ironic now. To all the the chops I’ve loved before! I am not shy to say…but boy, have I loved a few chops in my time! I am kind to myself and know that it’s a part of growing up and sometimes a part of growing old! I should write my memoirs and share some of my giggles but that would be telling, wouldn’t it?! So, I like most of you have had my share of ‘boy trouble’ and the problem with boys is that they grow into bullies which is most unattractive and unacceptable! So from the cheats, to possessive freaks to older men and aging playboys…I have seen and experienced my fair share! Has it made me bitter…absolutely not…I have learnt to laugh about it. And once you laugh, the tears never fall. Life is beautiful so why should we define it by dodgy relationships! I do love lamb chops and marinated ones are my favourite. 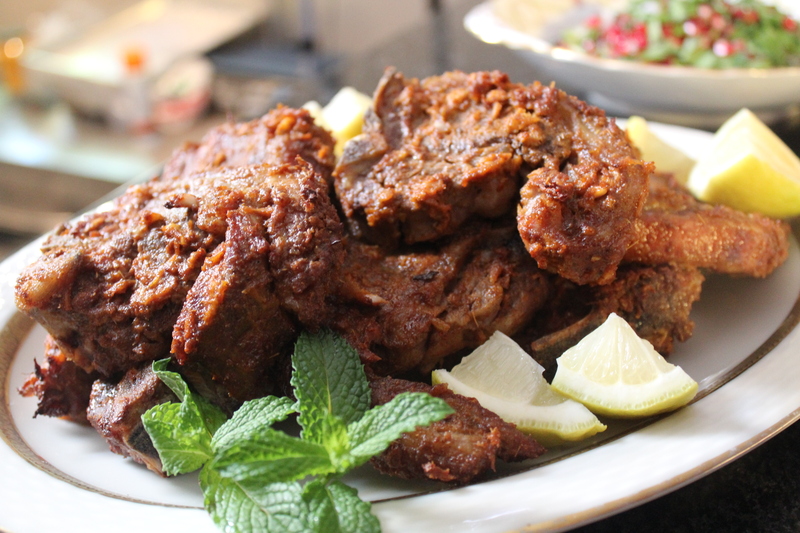 I prepared these on Mela a while ago and thought that if you have a love of chops, like me, then this recipe will not disappoint like some other chops do! A message to all the chops I have loved before, your time has passed, I have grown from my experience and thank you for the education, the lessons learned and experience. I won’t look back and haven’t…there are no second chances or third ones and sorry won’t do! I guess if some of those chops walk past my work in a book store, they must be surprised and possibly kicking themselves for judging me by everything I did not have… where I come from, girls from wealthy families were taken seriously and money talked, while the rest walked! I don’t have regrets for it has shown me that some people lack character! For those of you who have had your heart broken, smile for you are free from what could have caused you a lifetime of pain! There is a reason why people don’t make a book and just have a chapter in your life! Love yourself and be kind during the hard times and heartbreak! And I wish you much happiness and love on your adventure! Season the lamb chops with salt. Mix the marinade ingredients together until smooth. Rub the marinade over the chops and leave to rest in a refrigerator for a few hours. Place a wire rack over a baking tray. Bake for 12 – 15 minutes depending on the thickness of the chops. Working on the Mela food inserts gives me a chance to re-visit my childhood and share my favourite food memories. I grew up in Durban as most of you would know by now and the weekends were reserved for the local pastime, ‘visiting’. So, some weekends we would be out and about visiting and on others, we would be at home expecting visitors. It was an awesome tradition and there were no phone calls made to confirm or make arrangements…you just popped in. Imagine doing that in this day and age? Payasam or vermicelli as we know it was made over the weekend to serve to guests around tea time. Sometimes we were served cake, biscuits or samosas but we always hoovered up the payasam. Do you remember the visiting days? Place the cinnamon stick and cardamom pods into an AMC pot. Heat the spices until fragrant. Add the vermicelli and stir until light golden brown. Add the butter and stir for a minute, then add the desiccated coconut. Add the boiled water and full cream milk. Add the sago and simmer on a low heat until the vermicelli softens and the sago is translucent. Once the payasum thickens, add the sugar and then flaked almonds, reserving some for garnishing. I worked at the Broadacres Superspar over Christmas Eve and Christmas Day too….it has to be the most frantic days to be in store and it’s all hands on deck for the rush. Turkey in every form imaginable….roulades, stuffed, deboned, unstuffed, turduckens and carved….you name it….and it was in store….not to mention gammon…gammon everywhere! I have been posting post-Christmas recipes mainly using turkey….today I have a recipe that uses the last remaining slices of Christmas cake. Don’t be too quick to write off this recipe…it is decadent and delicious! Turfing out Christmas cake makes me sad….and it hurts the pocket too…all those good nuts and spices…not to mention the butter and brandy too! This post-Christmas dessert will have you shining like a star! 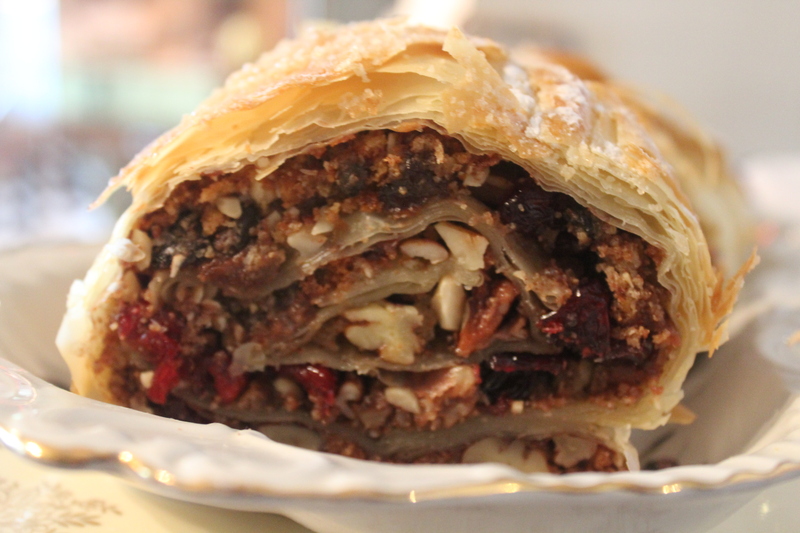 I added more nuts, spices and Lindt chocolate to the filling and wrapped this in phyllo! Use a bread knife to slice through the pastry…works like a charm and don’t be intimidated by this! What I love about this recipe is also those delicious aromas that travel through the kitchen while it is in the oven!!! I made one of these and took a few slices through to Mrs Tarr at Broadacres…and we also had some turkey pie as well with it….I know I can count on her for feedback on new recipes….and well, I can honestly say that after a few festive recipe tastings, I knew I was going to get into trouble for tempting Mrs T….a troubled chef…or a troublesome one? For more post-Christmas recipes, click here for a delicious turkey pasta…https://yudhikayumyum.com/2014/12/24/christmas-recycled-turkey-pasta/ or here for a hearty turkey pie, https://yudhikayumyum.com/2014/12/21/turkey-express/. For the latest food inserts from Mela on SABC 2, click here, https://yudhikayumyum.com/sabc-2s-mela-videos/ and don’t forget to like the Mela page on Facebook for the latest recipes! 125g dark chocolate, chopped – I used Lindt! Crumble the cake into a mixing bowl. Add the hazelnuts, pecans, dark chocolate and cranberries. Add 5ml ground cinnamon to the mixture and mix well. Place a sheet next to it with an overlap of about 4cm. Brush the pastry with butter and repeat until all the layers are done. Brush the top layer with butter and sprinkle with cinnamon. Sprinkle 2 tablespoons of the brown sugar over the pastry. Spread the crumbled cake mixture leaving a 3cm gap around the edges. Sprinkle the brown sugar over the filling and reserve 30ml for topping the strudel. Fold the pastry over the filling around the edges. Roll the pastry with the filling as you would for a Swiss Roll. Grease a large baking sheet with non stick spray. Place the phyllo roll onto the baking sheet and brush with butter. 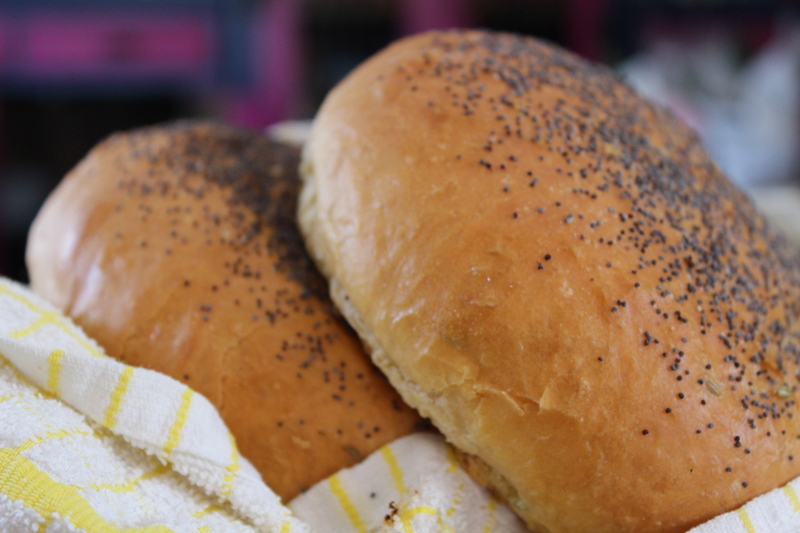 Sprinkle the reserved brown sugar over the roll and bake for 35 – 40 minutes. The strudel should be golden brown and crispy. Dust with icing sugar and slice into rounds with a serrated knife. I have never made a Christmas cake ahead of time and followed the ritual of pouring brandy over it every week….the cake just gets gobbled up by the gremlins in my family…and when they are tired of cake…they pull of the almonds on the cake! Some things run in the family! I used to do just that when I was a kid and it’s a little like karma coming back to bite! 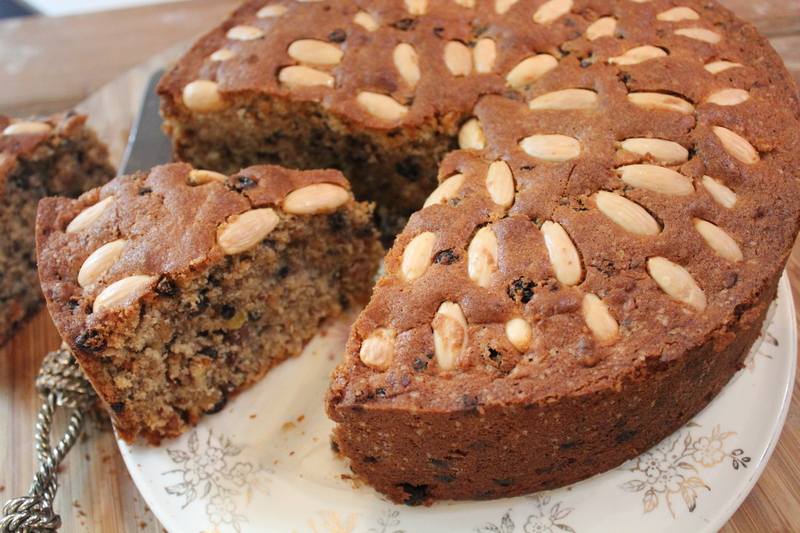 Most families have a traditional fruit cake recipe that is served at Christmas. I love the aromas of Christmas cake…the brandy with spices fill a home with festive cheer! Tried and tested sometimes or should I say almost always works best…I do sometimes feel that I should try a new recipe which generally ends up in a disaster. I can bake…I am mean I can REALLY bake…..a few years ago I tried a recipe from a really flash cookbook….and it was one of those really expensive one too….the cake looked like a rather large over-baked Ouma rusk! I was devastated and got teased about it for months! I find following a recipe pretty difficult and my mom was the queen of fruit cakes…this is her recipe with a few tweaks here and there…I love spicing up a fruit cake and have added cardamom to my recipe as well! I sometimes also use a good glug of Jack Daniels to this recipe instead of the brandy! You can serve this cake with brandy butter or custard. I just have a large slice with a good cup of coffee! Oh and I make this cake a few times during the year…so calling it a Christmas cake doesn’t come easily! A big congratulations to Lalisha Singh on winning the KitchenAid stand mixer competition! She joins our Tania Joy Fredericks, Renuka Lallbahadur and Natasha Ramlugan as well as Kay Straightfill and Krivani Pillay in our winners hall of hame!!! Stay tuned for more competitions on the blog with great prizes from AMC cookware, KitchenAid and Spar! Grease and line a 10 inch round cake tin with baking paper. Sift flour, salt and baking powder and add the spices. Place dried fruit and nuts in a mixing bowl. Toss together 30ml cake flour and the dried fruit and nuts. The dried fruit should be lightly dusted with flour to prevent the fruit from sinking to the bottom of the cake. Mix together the milk and brandy. Sift the dry ingredients. Cream butter and gradually add brown sugar until light and fluffy. The sugar crystals should also dissolve slightly – I used the KitchenAid mixer for this! 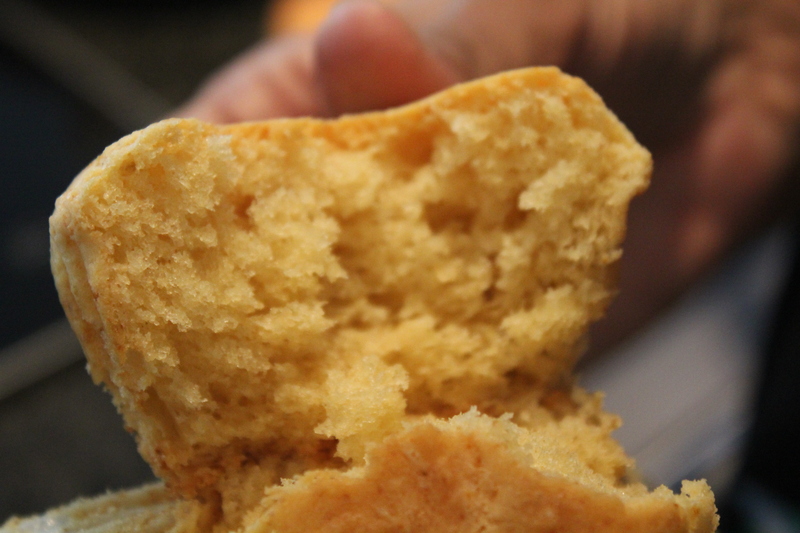 Add eggs one at a time with a teaspoon of cake flour to prevent curdling. Add half the flour to the butter and egg mixture followed by half the liquid. Repeat this process and lastly fold in the dried fruit and nuts. Arrange the blanched almonds on top of the cake and press them into the batter gently. Bake for 70 – 75 minutes or until the skewer comes out clean. Turn out on a wire rack and allow to cool. Store in an airtight container. The festive season…some people love it…some people dread it! The producer of Mela, is always full of brilliant ideas….and one of our themes was what to make when the inlaws….or should I say ‘outlaws’ come to visit! Mother in law blues….it’s awful but over the holidays we all seem to overdose on it….yes, yes…they are perfect and they are the best cooks too….so, we first had a look around to see what we could come up with….first stop was our local ‘Fourway’s Farmers Market’. The produce is amazingly fresh and it is a must for any ardent foodie. I happened to come across a chocolatier stand.and they had fabulous white chocolate that was too tempting to resist. We decided to prepare a meltingly delicious burfee with a decadent twist….white belgian chocolate…that ought to get the tongues to stop wagging! 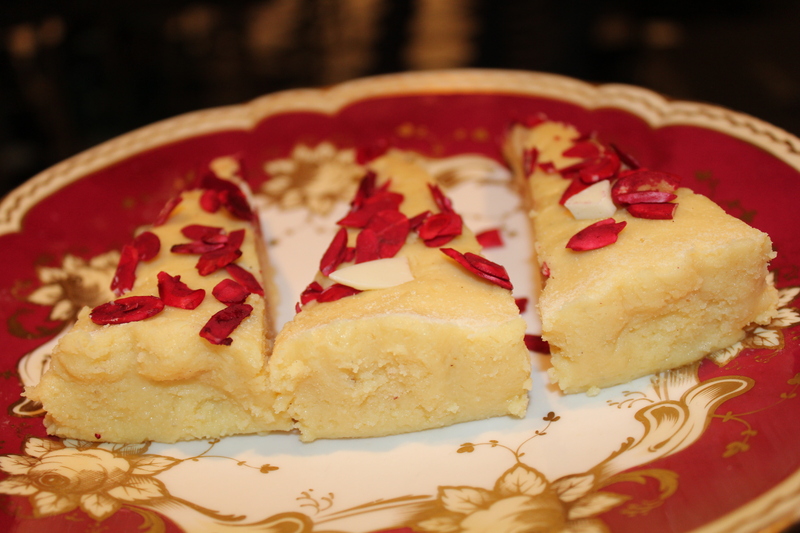 White Chocolate Burfee by Yudhika on SABC2’s Mela…. Tint the almonds with red food colouring and roast in a hot oven until dry. Leave aside to cool and then sprinkle with gold dust. Gently rub the gold dust over the almonds. Grease a 20 x 25cm pyrex dish or baking tray with butter. Line the tray with plastic wrap ensuring the sides are also lined. Grease the plastic wrap with butter. In a mixing bowl, rub the dessert cream into the milk powder until it resembles bread crumbs. Leave this aside for an hour to dry out. Place the milk powder mixture into a food processor and pulse for 30 seconds or until the mixture resembles bread crumbs. Combine the sugar and water in a small AMC pot and boil until a thick sticky syrup forms. Add the cardamom and butter to the syrup. Pour the syrup into the milk powder, add the chopped chocolate and stir well to combine and leave to cool just slightly. Add the chopped chocolate and working quickly press the mixture down into the prepared dish or baking tray. Once the mixture cools, garnish with the tinted almonds and chopped chocolate. Refrigerate the burfee until firm and slice into blocks or diamonds.